As summer ends, autumn comes just as quick! Be sure to say your good-byes or see ya laters to Aaron Hilton as he continues his journey in immersive technology with Steampunk Digital in Japan! Aaron has been a pillar for this community, supporting creators from all skillsets and levels, and is an invaluable resource. We’ll miss you Aaron and can’t wait to see what you’ll create across the pond! We are now taking submissions for release dates for Vancouver brewed VR projects/experiences on our community calendar, so let us know over at hello@vancouvervrcommunity.com to get featured! And right back to it – We’re really excited to be community partners of Vancouver International Film Festivalthis year. have to see for yourself including the National Film Board’s “Homestay”! Twilight Path will be released on October 2nd! If you loved FORM, be sure to look out for Charm Games’ next puzzle game with an all-new world. Local horror director Ariel Hansen’s VR short is now available on YouTube! Be sure to put on your headset on for this one… ‘Tis the season, if you know what we mean. money when visualizing their big & complex 3D design files. With Cubity you can import your 3D files in their original format without the need for file conversion, thereby avoiding any data loss. The software creates an “asset inventory” and generates a statistical analysis of the 3D file which helps identify bottlenecks and performance limiting factors. For instance, an engineering model of a robotic arm can have many duplicate parts (such as bolts) that make the design file heavy. The software can quickly identify duplicate assets, group them and give the user the option to delete them, greatly reducing the size of the file. The software prepares 3D files for Unreal Engine, making real-time visualization possible across multiple platforms. Ultimately, companies can get insight into their 3D design files and deliver content to mobile, desktop and AR/VR devices in little time. Radical I/O debuted SyncPlay feature in BeThere360! Radical I/O is focusing their BeThere360 product on the post-secondary education market, both for admissions as a recruitment tool, and also for instructors as a teaching tool. 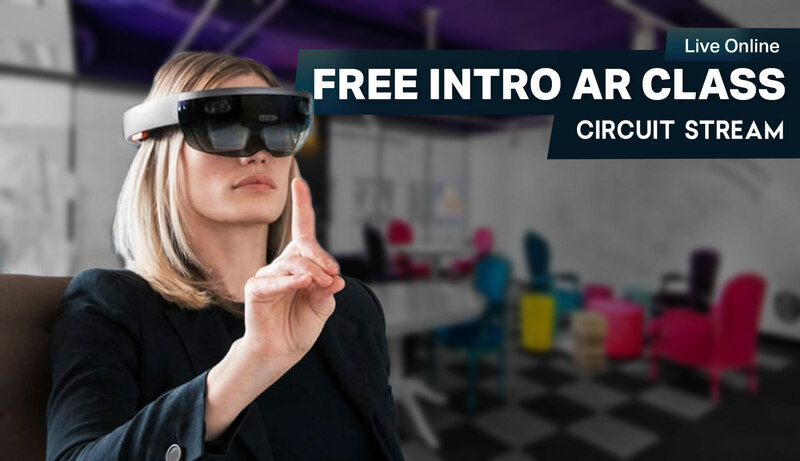 To that end, Radical I/O shared a working demo of their BeThere360 sync play concept, a facilitator-led group 360-video viewing experience, to the public for the first time at the VRAR Global Summit. We’re looking to partner with more 360-video content producers so we can refer potential clients their way, but also so we can share examples of their work in our own BeThere360 app that will be released towards the end of October. Please contact Briana at bethere360@radical.io if you are interested in exploring becoming content partners, or in booking a private demo of sync play. Vancouver to get a new VR co-working space? We need YOUR feedback! The VR/AR Association (Vancouver) and Launch Academy are exploring the idea of launching a new facility for immersive technology companies at Launch Academy’s current offices in the heart of Gastown (300-128 W. Hastings). The 12,000 sqft facility will include everything you need to take your company to the next level including desk space, mentorship programs, VR/AR equipment rentals, investor relations, advisory services and community events/workshops. Fill out this survey before September 28th to get a special discount! Our team over at VANVR is thankful to have been granted media passes for the VR AR Global Summit. We met exhibitors and creators from all over the world, and even some new Canadian businesses hustling in the VR space. Be sure to check out the full gallery on our Facebook group! We don’t know the entire lowdown of what’s to come, but in case you’re a user of MixCast and want to support your neighbourhood friendly mixed reality studio, be sure to point your fans and community onto the right platforms! Read all about the changes on the official MixCast blog. 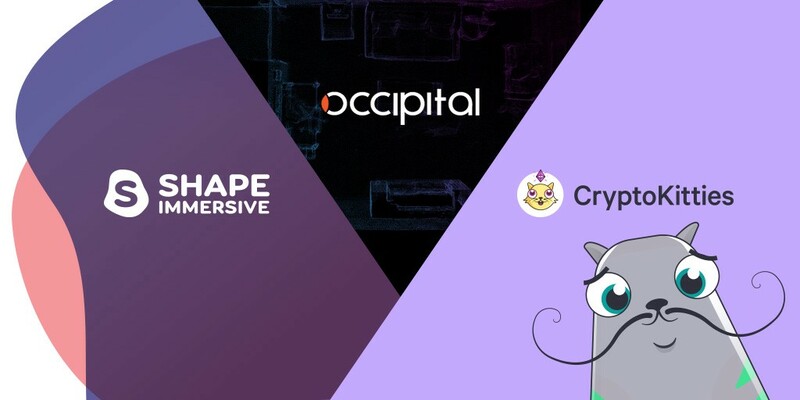 (Memes aren’t our strongest suit over here), but Steampunk Digital, Shape Immersive, Occipital, and Cryptokitties have come together to showcase one of the world’s biggest blockchain games IN AR – into the world of the first multiplayer mixed reality game. Read all about it on CEO Alex Chuang’s blog. Industrial Illusions is a vibrant and dynamic group of self-starters with adept work ethic, drive and serious creative abilities. We view obstacles as an exciting challenge, work towards bettering ourselves on and off the job and enjoy having fun. Our company is currently in start-up mode and we’re looking for the right individuals to be part of our core team in pushing boundaries on platforms that have never existed before. Check out the full job posting on Facebook.